We deliver the highest quality of Education and Care for your child and family needs. We provide all meals and nappies. All of our meals are cooked fresh by our on-site chef. Bellbird Park Early Learning Centre will be registered with the Department of Education & Training as a 87 place centre for children from ages 0-12 years old. 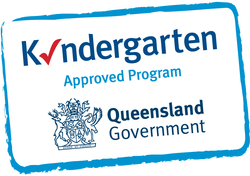 We also run a Queensland Government Approved Kindergarten Program. All our meals are cooked fresh by our on-site chef. When it comes to nappies, we have got you covered, literally. We offer free bus rides to students from our local school. Our centre provides play based educational developmental programs and is based on an emerging curriculum in accordance with the Early Years Learning Framework [EYLF]. We offer rich meaningful experiences in a state of the art brand new centre. We provide appropriate programs based on observations, evaluations and plans for individual and group learning. Our emphasis is on the education and care with meeting children's needs therefore enhancing their holistic development. Each child will be guided to learn at their own individual pace according to his or her unique way of learning. We also offer before and after school care for students of our local school with a free bus service.